Raising an animal can be a very rewarding experience. 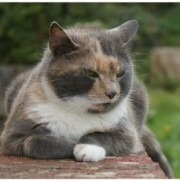 However, caring for a pet requires a great deal of patience and in some cases, you may want a little help and advice. That is exactly why we have created our dedicated nurse clinics. At Witten Park Vets we appreciate that you may need a little expert advice regarding your pet’s upbringing from time to time. For that reason we have developed a number of nurse clinics so that we can help you provide the very best care for your companion. 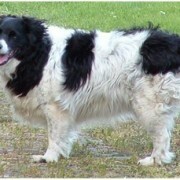 As our dogs and cats age, we often notice subtle changes in them. In dogs, for example, this may be in their willingness to walk long distances, stiffness after sleeping and greying of the hair around the muzzle. And in cats changes such as reduced mobility or jumping up onto their favourite sun spot, increased drinking or weight loss are all signs that may be associated with getting older. Distinguishing which are disease processes, and which are just ageing can be difficult. If your dog is over 7 years old or your cat over 8 years old and you have noticed changes in them, why not book them in with one of our nursing team? The clinics are held in the afternoons and run by our qualified practice Veterinary Nurses. The Senior Health Checks are free to our registered clients. So if you are worried about your pet’s eating habits, smelly breath or a wart on his/her foot, just ring and make an appointment with Heather, Kate, Hope, Tina or Kirsty. Dental disease is the most common problem we see in practice. Our pets are, on average, living longer and so taking care of their dental health is more important than ever. Dental care can roughly be divided into preventive care and treatment when required. 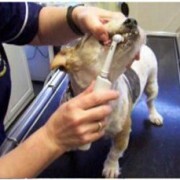 Dental health in our pets is a very important part of their overall wellbeing and dental disease in pets over the age of 7 yrs is one of the most commonly diagnosed diseases we see. We like to introduce dental care early in a pet’s life and this will include a combination of brushing, food and dental chews. If after an examination by one of our clinical staff a pet was found to require some dental treatment we will try and give you an accurate estimate for the work to be carried out. There are a number of factors which make this quite difficult. The tartar is more or less easily removed. Some teeth just take longer to extract than others. The dental work carried out by the practice is one part of an ongoing process of dental care. Brushing when possible and the correct diet which helps maintain healthy teeth are equally important. Please note that we will always attempt to save teeth where possible. We don’t like extracting teeth any more than owners do! Only where a tooth is no longer salvable it will be extracted. The cost of dental work includes all follow up dental checks with one of our qualified practice nurses. A lot of the patients we see at Witten Park are overweight. This can lead to complications such as: – joint and mobility problems, exercise and heat intolerance, heart and breathing distress and even diabetes. At our weight clinics we discuss lifestyle, exercise regimes and diet, set targets and give lots of support at regular weigh-ins. We appreciate that obesity in pets can be a complicated problem and that helping pets to get back to a healthy weight may require different approaches for different pets. We are proud of our weight watchers and encourage owners to come in for weight checks all through their animal’s life to maintain a healthier figure. You’ve just aquired your puppy. You’ve come along to the surgery and introduced your little puppy to us and it’s had a thorough check and 1st vaccination. And we’ve spoken about a whole lot of stuff! All important of course but it is a lot to take in in one session and so coming along to one of our puppy parties can be a whole lot of fun and a chance to go over any queries you may have. The puppy parties are for young pups who have had their 1st or both primary vaccinations but are not yet allowed to go out and socialise with other dogs. They can meet pups their age in a safe environment for some fun and some useful information for Mum and Dad. If you have a new puppy between the age of 8 and 11 weeks and would like to come along please contact the surgery. When you bring your companion to see us for a routine check-up, your vet or nurse may recommend one of our nurse-run clinics. These are free of charge for our registered patients so you can rest assured your pet’s overall health and wellbeing is our main interest. If you would like more information about our nurse clinics, or to book an appointment at our practice, please contact us by calling our Witten Park surgery on 01237 473278 or our East the Water surgery on 01237 422657.